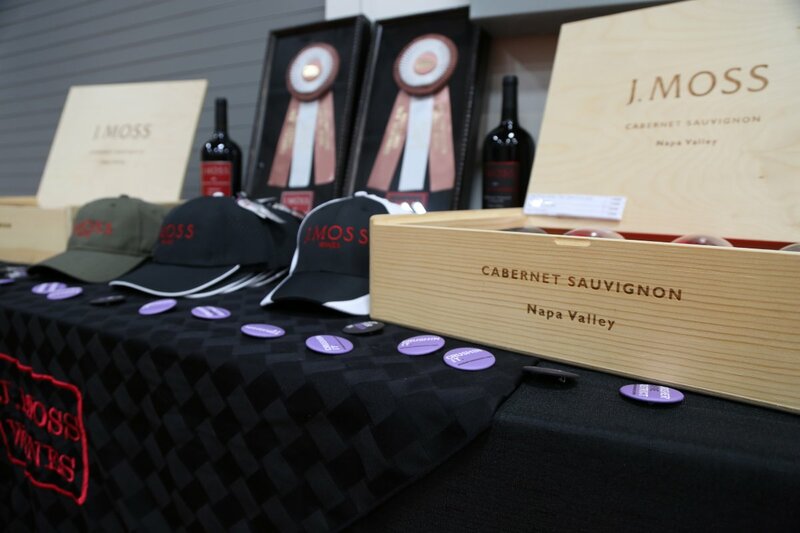 J. Moss Wines is a small winery specializing in high-end hand crafted single vineyard Napa Cabernet Sauvignon. 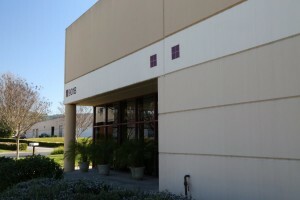 This winery was started by James Moss with his first vintage in 2001. His wife Janet has her wine making degree and also worked at an area winery for a number of years. 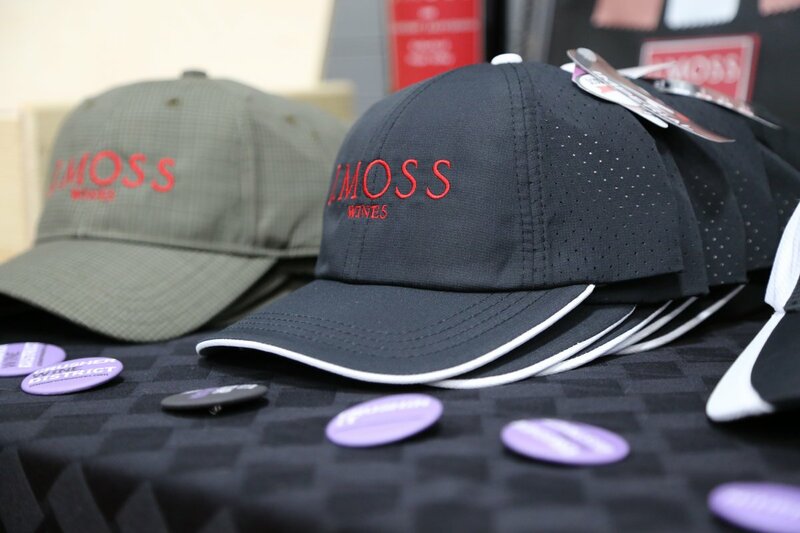 James was the primary winemaker for J. Moss for many years; he and Janet hired a consulting winemaker in 2012. And their son Westley is also involved when he is in town. James worked as a wholesaler in the wine industry for many years, getting his start in Dallas, Texas. 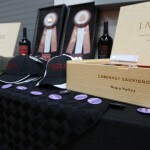 Considering the industry, James would often take business and educational trips to the Napa Valley and it didn’t take long before the Napa allure kicked in. He pulled up roots from Texas and moved out to the Napa Valley – crossing the southern part of the country on his way to Napa with all his possessions packed in to the back of a U-Haul. He soon found himself volunteering to help his friend at a local winery and initially was put to work doing what would be fairly mundane winery tasks for industry veterans. However, when you are new to wine making you need to start at the bottom, everything is new, hence interesting – and even mundane functions such as manual punch downs, moving hoses, and rackings can pique ones interest for a while. Over time he began to pick up more and more of the wine making side of the operations and for several years made “garagiste” home wine for friends and family. 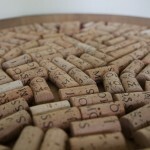 He considers long time winemakers Mark Jessup and Gustavo Brambilia as mentors. Coming from an industry where James often tasted wine and had many years to build up his palate’s repertoire, he knew what types of wine he enjoyed. His wines are vineyard specific and he tends to use the same vineyards for a number of years which builds terroir consistency in the wines. They are high in fruit flavor, not over the top with alcohol but rather balanced from start to finish. 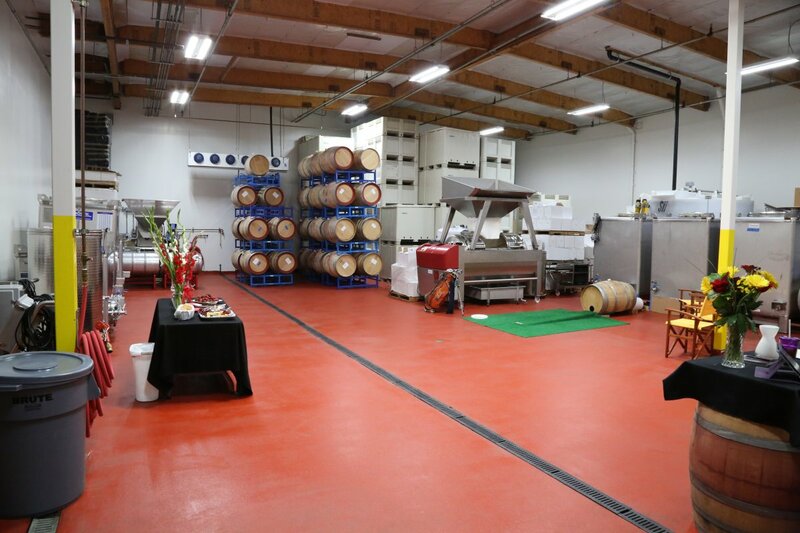 All wines are fermented in small open top fermentors and the free run juice is kept separate from the pressed juice throughout their aging, until the final blending decisions are made. This is where James’ trained palate really helps. He is looking for smooth mouth feels, delicate tannins, rich flavors with fairly long finishes. The wines are bottled unfiltered for maximum color and flavor. James even planted the hillside part of his backyard with 400 vines of Merlot. This is one of the first true residential subdivision Napa vineyards we have visited on this project – but with the backyard space and terroir not far from the cooling influence of the San Pablo Bay, this is a perfect location for a small vineyard. Just ask any of the successful Napa wineries who have vineyards planted in this area (well south of the town of Napa). With a vineyard this tiny you can really micro manage each and every vine. James creates a very limited production single vineyard estate Merlot -this wine is usually only a production of about 2 barrels and is avaialble for their wine club members only. We tried a 2004 and also a 2005 vintage Cabernet Sauvignon from the Spicer Vineyard located in the heart of Stags Leap District. This is prime terroir for Cabernet Sauvignon, nearby vineyards include Shafer and Pine Ridge. James has sourced grapes from this vineyard since his first commercial release in 2001. Both wines have amazing fruit and continue to change and evolve over time in the glass both in aroma and flavor. The 2004 has a sweet fruit-driven elegant nose with aromas of blackberry, earthiness, baking spices and just a faint hint of vanilla. The mouth feel is super soft, yet rich in flavor. It is an explosion of blackberry, black cherry, dark chocolate, cloves and other spices with nuances of toasted oak – the oak is subtle but adds a nice complexity to this rather lengthy finish. The tannins are firm yet delicate. Both wines have excellent acidity and bright fruit. The 2005 which we tried just after its initial release, saw a bit more French Oak during its aging than the 2004 – it has lively fruit (all natural acidity), and with an alcohol level at a rather reasonable 14%, it makes for a very enjoyable food wine. These wine are certainly well structured to drink young, but have the backbone and acidity to also age for a number of years. 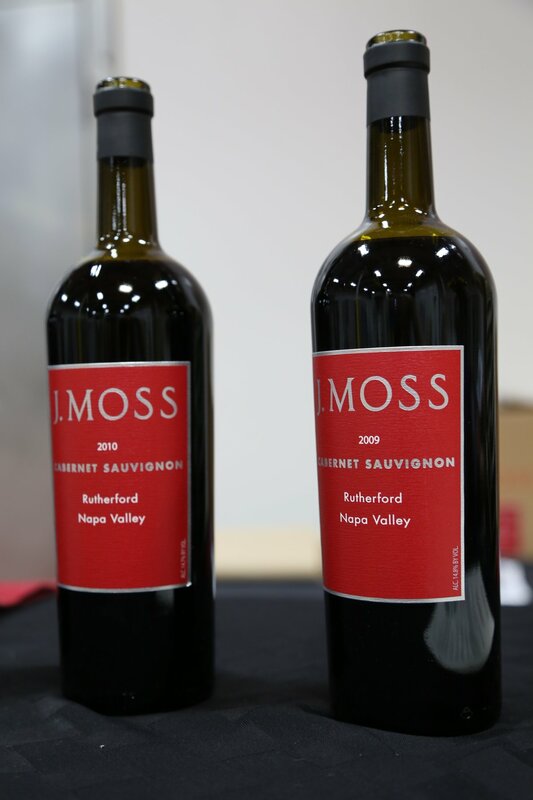 As of our latest update, J. Moss makes three different 100% Cabernet Sauvignons – all produced in quantities under 200 cases, and all come from some of Napa’s best known Cabernet Sauvignon producing appellations. Their red label wines are made from multiple vineyard sources – the black label wines are from single vineyards. Most of his distribution is direct – visit their website to join the mailing list. They also make large format bottles and can put together specially packaged wine boxes (which make great presents by the way). 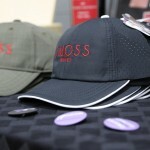 J. Moss has good distribution in California and Texas. 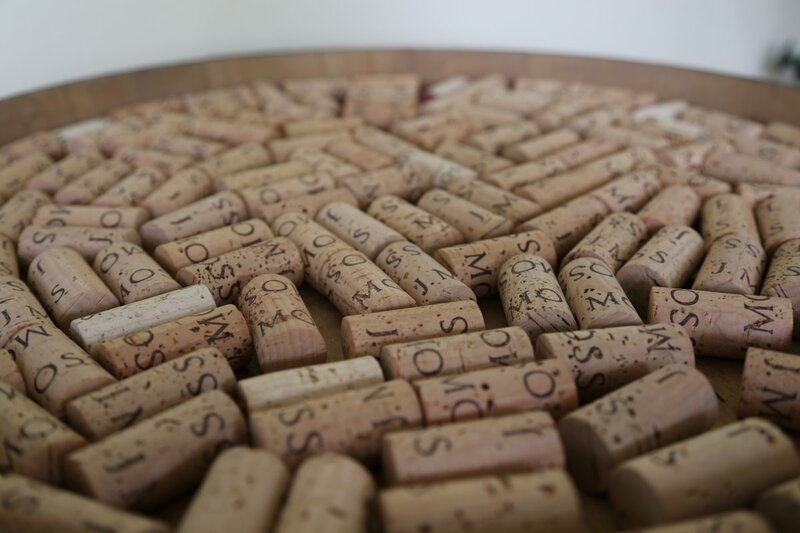 You can also find their wines locally at Backroom Wines in downtown Napa. After a number of years of being a “nomadic” winery – James Moss opened a tasting room in 2011 in the Crusher District, a business and industrial park located just south of the city of Napa. James Moss shares the winery with several other vintners. 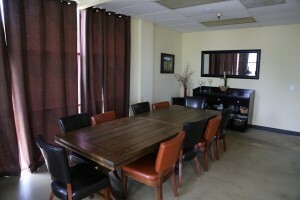 A small private tasting room is located in front of the actual winery.